GERMANY: EnBW has installed the first turbine at its 288MW Baltic 2 offshore wind project in the German Baltic Sea. Hochtief Solutions Vidar jack-up vessel has carried six turbines from Sassnitz harbour to the project site and has put the first one in place. 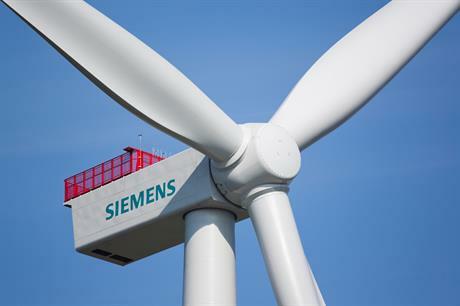 It will now go on to work on the remaining 79 Siemens 3.6MW turbines due to be installed at the project. There was a slight delay in the installation of the first turbine due to adverse weather conditions in the Baltic Sea, the company said. The components for the turbines were manufactured in Denmark and shipped to Sassnitz, where they were assembled. Monopiles were installed at the site 32 kilometers north of the island of Rügen last year, while the transmission link was finished earlier this year. This will be EnBW's second offshore wind farm, following on from the nearby 48MW Baltic 1 project, which it brought online in 2011.